Behind the front doors of our hospitals there are many things happening that we don't see. Most of us will have visited someone in hospital and quite often it is a simple visit to see a relative for a few minutes. My fondest memory of visiting a hospital was of course going to the Rotunda Maternity Hospital in Dublin for the births of my daughters. Image source: Breast Centres Network. 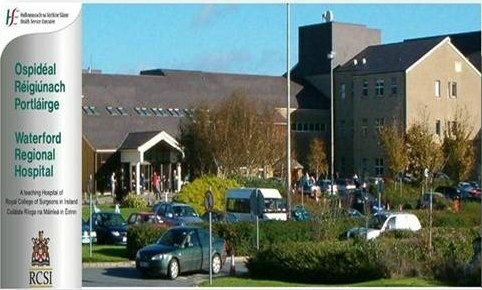 Yesterday I visited the High Dependency Unit (HDU) at Waterford Regional Hospital. A HDU is one step down from intensive care, but as the name suggests it is a hospital ward where patients are monitored very closely. The small ward I visited had a lot of monitoring equipment and just four patients. There were two nurses and a doctor present - I believe the ratio is one nurse to two patients. All the time I was there (about 25 mins), there was constant checking and recording of patient data (eg heart rate, blood pressure). Curiously, even though monitors were being used, the data were being recorded on very large paper sheets by hand. Perhaps it is also being recorded electronically, but this was invisible to me. I would imagine that it would not be too difficult to hook up each patient monitor(s) to a computer. One can only be hugely impressed by this 24-hour care by dedicated professionals. Our Health Service is much maligned at times, but there's no doubt that patient care work like this is going on all the time. We owe so much to our doctors and nurses. A visit to a HDU will remove any doubts about anyone may have about our Health Service. For any family and friends reading this, Dad is doing great.